The fallout over the Conservative Party’s disappointing results in the UK parliamentary election continued Saturday with the resignation of Prime Minister Theresa May’s two top aides. The Conservative Party announced Saturday that Nick Timothy and Fiona Hill, May’s chiefs of staff, have stepped down. The news comes after some senior Tories demanded that the pair be removed in exchange for continued support of May, as Hill and Timothy were blamed for conducting a less-than-stellar campaign that resulted in the Conservative Party’s poor election results just ahead of Brexit talks. 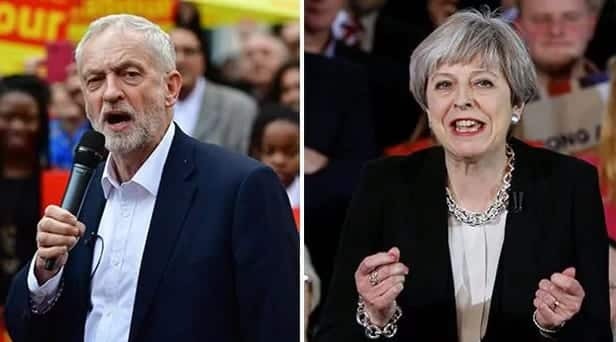 The election ended with a hung parliament this week, with May’s party failing to secure the majority it would need to work without the support of minority parties in parliament. The loss was viewed as particularly embarrassing for May, who had called the election three years before it was required when opinion polls showed her in the lead. Meanwhile, May, who has pledged to fight on despite falling short of the overall majority in parliament, began appointing new members of her government. May’s office has said Treasury chief Philip Hammond, Foreign Secretary Boris Johnson and Home Secretary Amber Rudd will retain their positions, while the lower ranks of ministers will undergo a reshuffling. This entry was posted on June 10th 2017 at 9:58am/09:58 and is filed under Live News Column 1. You can follow any responses to this entry through the RSS 2.0 feed.